Nollywood actor Gabriel Afolayan has reportedly tied the knots with his US-based fiancée, Banke. Details of their wedding are still scanty but they were said to have done their introduction ceremony a few days ago in Osogbo, Osun State. The couple reportedly started their relationship about 18 months ago. 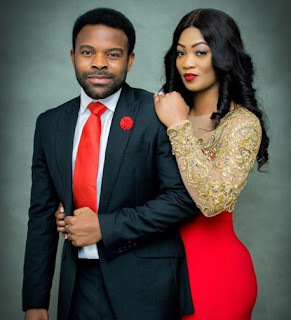 Afolayan, who doubles as a singer, posted their pre-wedding photos on Instagram.